In this case, my story I thought would be 25-30 thousand words is closer to 68 thousand words--and counting. For those who like to read longer, more involved novels, I hope you enjoy the final product. By the time I should have uploaded it on Amazon, I did not have time to clean it up all pretty and give it a good final line editing. The revised release day will be Saturday, September 30th. The release will be announced on my Zina Abbott Books blog. This has turned into one of my favorite stories. I hope my readers agree it is worth the wait. Being pressured by her father to marry his New York business associate whom she detests, Delphinia Blakewell, using the alias Delia Brownlee, secretly starts a correspondence with two miners in Jubilee Springs she contacted through the Colorado Bridal Agency. After her letters are discovered by her father, her mother sees to it she is confined to her room for three months. Only when she agrees to the wedding is she allowed more freedom—freedom that leads to a startling discovery about her supposed fiancé. Delphinia flees to Colorado, using another alias, Sarah Brown, only to discover one miner she wrote to married another, and the other was killed in a shootout. However, she is dead set on being married and in her own home to avoid what awaits her should her father track her down. 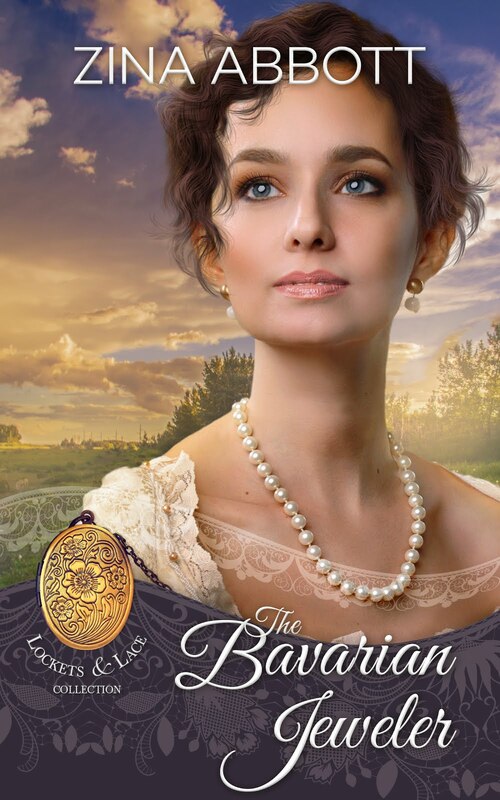 She wants to find her own miner to marry, but the owner of the bridal agency has other ideas. Bennett Nighy makes furniture for his store in Jubilee Springs. He also makes caskets, and, by default, has assumed the job of town mortician. He enjoys his solitude. He is dead set on not complicating his life by getting married. However, he is terrible at keeping books, helping customers choose the proper furniture pieces for their homes and he could use some help preparing the town’s female decedents for burial. Still, he might have been able to continue muddling through life on his own if only he hadn’t attended the town’s harvest dance. Bennett bit back a smirk. She stopped mid-stride and stiffened as if offended. 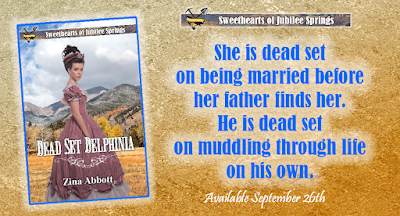 Next she spun on the toe of her boot to face him. He felt her disapproval radiate from her like the heat of a firestorm. 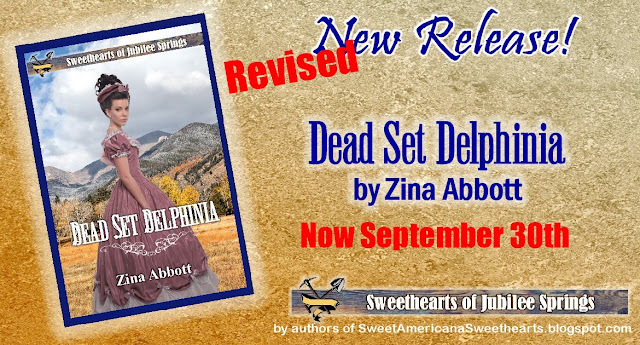 When Dead Set Delphinia is released, it will be at the release day sale price of $.99 through the weekend. Afterwards, the book will resume it regular price. It will also be available on Kindle Unlimited. 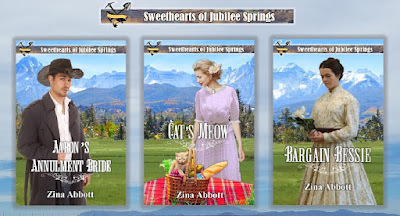 Zina Abbott has available three other novellas in the Sweethearts of Jubilee Springs series.